Cat Garcia’s latest exhibition ‘Quarterly’ opened this month at Leica Studio Mayfair. 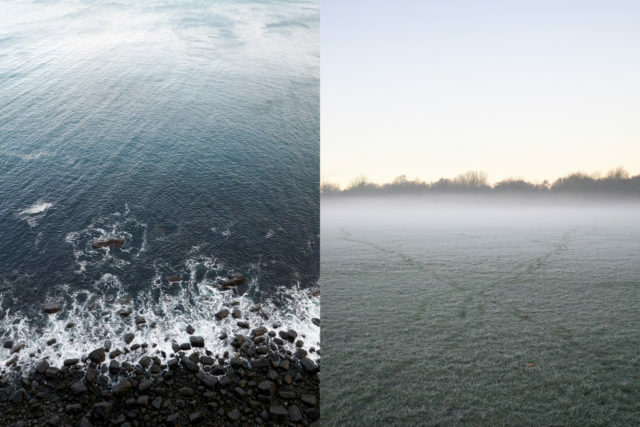 A series of photographs, captured across the seasons of one year. Every year, the world withers and begins anew. The seasons weave into one another, as sure and seamless in their cycle as the hour hand on a clock face. The leaves turn and fall; icicles cluster on park railings while crocuses wait, green beneath the soil, for their moment in the sun. These are the broadest brush strokes of change. The cycle of the seasons does more than change the scenery. It is not just a team of stagehands slipping into the shadows of a four-act play to replenish the flowers and rearrange the furniture. The effects are slow; they unfold almost imperceptibly, and yet they touch upon everything: the colours of the world, the qualities of light and shadow, your mood in the morning, the clothes you put on, what you do with your day. It might go unnoticed at the time, but every year we silently recalibrate our habits, hopes and expectations on the emergence of the first daffodil. These images pay homage to the fact that the idea of ‘quarterly’ suggests more than the dates on a calendar, but refers to the wonderful metamorphosis of the world each year – both outside our doors and inside our heads. If you have the chance to visit, the exhibition runs until the 28th Nov.
You can also see a selection of the exhibited work here.